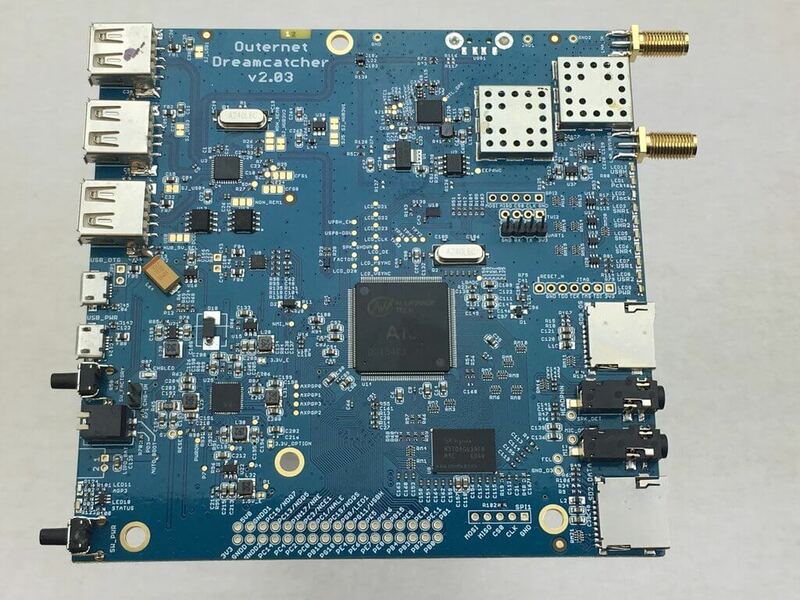 The Outernet Dreamcatcher is a single board PC with a built in RTL-SDR. 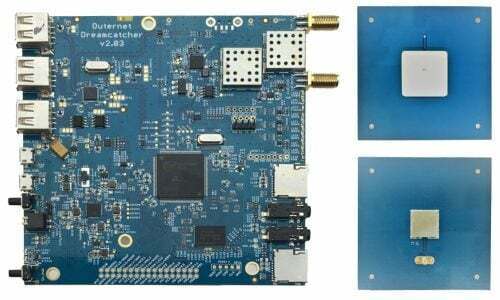 It has a TCXO and two SMA ports, one being amplified and filtered for L-band applications and the other being a regular port for all other applications. With built in computing hardware the Dreamcatcher can be used as a standalone unit for various applications. As the Dreamcatcher is now on sale we've decided to create a brief tutorial that shows how to set one up as a cheap ADS-B aircraft radar receiver, and also how to set it up as a PiAware feeder. PiAware is software that allows you to feed FlightAware.com which is an ADS-B aggregatpr. Any simple SMA antenna can be used, like our Dipole kit, an old RTL-SDR whip antenna, or even a short piece of wire. We also have a previous review of the Dreamcatcher available here. In the past the main problem with the $59 USD Dreamcatcher was that you could get a more powerful Raspberry Pi 3 and RTL-SDR dongle for a similar price. But now at the sale price of $39 USD the Dreamcatcher is definitely a great deal. Note that we'd recommend NOT purchasing the Dreamcatcher specifically for the Outernet data signal as we're unsure exactly how long that signal will continue to be broadcasting for. What follows below is a tutorial that shows how to set up a Dreamcatcher. The tutorial installs dump1090 at the same time, but afterwards could be used for a number of other applications. Recently the Outernet project transitioned from using RTL-SDR dongles and C.H.I.P single board computers to using their Dreamcatcher board, which is an RTL-SDR and computing board all in one. In between the transition they also produced a number of ‘SDRx’ dongles. 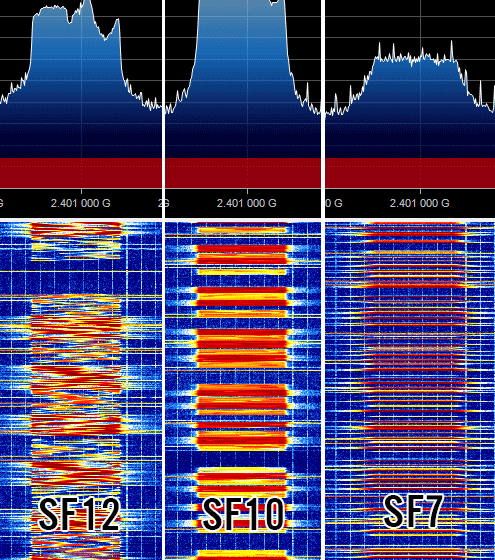 These were custom RTL-SDR dongles with a built in L-band LNA and filter. As they no longer need the SDRx they have them on clearance at their store. The clearance price is $15 USD which is an excellent deal. Remember though, that the SDRx is limited in frequency range – it is designed for receiving L-band satellites between 1525 – 1559 MHz and the filter will cut off all other frequencies. Just add a simple L-band tuned antenna to the port and you should be able to receive Inmarsat and a signal like STD-C, AERO or the Outernet signal. A suitable antenna might be a homebrew patch, helix, cooking pot antenna or even a small tuned V-dipole antenna can work for the stronger AERO signals. We also see that the price of their L-band Outernet active ceramic patch antenna has been dropped down slightly to $25 USD. This antenna is bias tee powered and can be used with a V3 dongle or their Dreamcatcher hardware. The Dreamcatcher itself is also now reduced in price to $59 USD. We have a review of the Dreamcatcher and active ceramic patch antenna available here. We also now list Outernet products in our store. These are commission sales so we receive a little bit per purchase which supports the blog, and the items are shipped by Outernet within the USA. 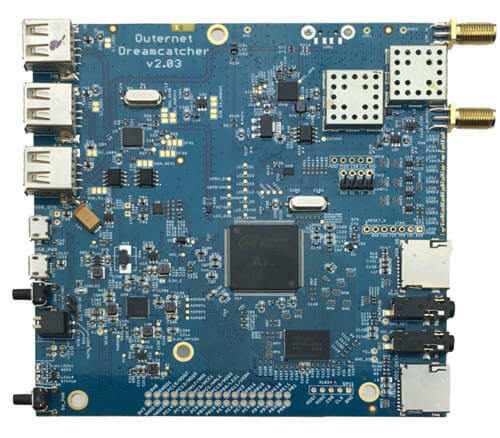 Back in June we tested Outernet’s new Dreamcatcher which is an ARM based computing board with RTL-SDR and L-band LNA built in. The $99 USD kit also included an external active L-band patch antenna. 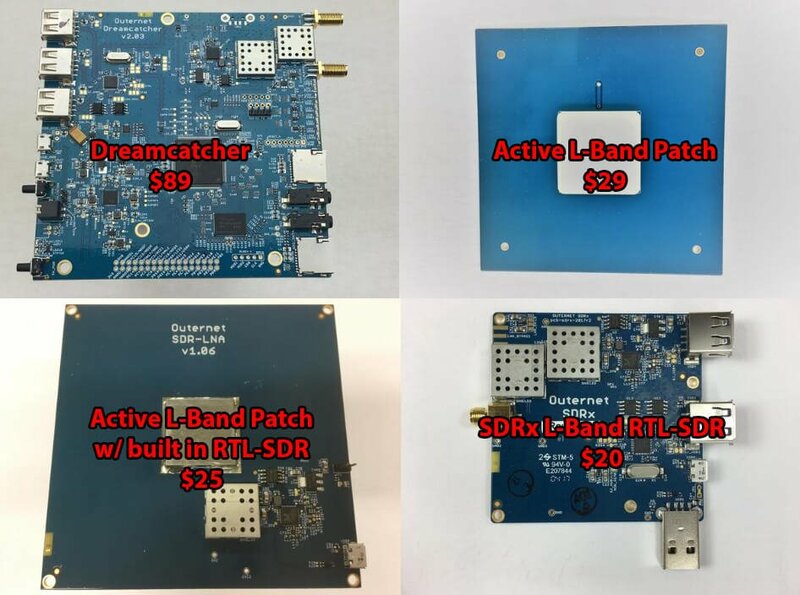 The Dreamcatcher full kit has now been reduced to $89 USD, and the active L-band patch antenna can also now be purchased by itself for $29 USD. The active patch antenna is also compatible with the bias tee on our V3 dongles and is a good low cost option for exploring most L-band satellite signals like Outernet, Inmarsat STD-C and AERO around 1542 MHz. The filter does unfortunately cut off the higher Iridium frequencies though. 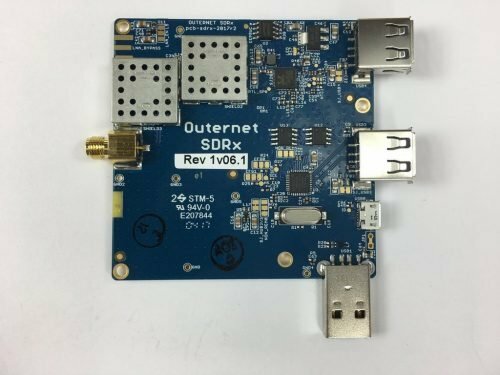 They are also selling off their older L-band SDRx RTL-SDR boards at a reduced price of $20 USD. The SDRx is a RTL-SDR PCB with a built in L-band LNA and filter, but unlike the Dreamcatcher does not have built in computing hardware. 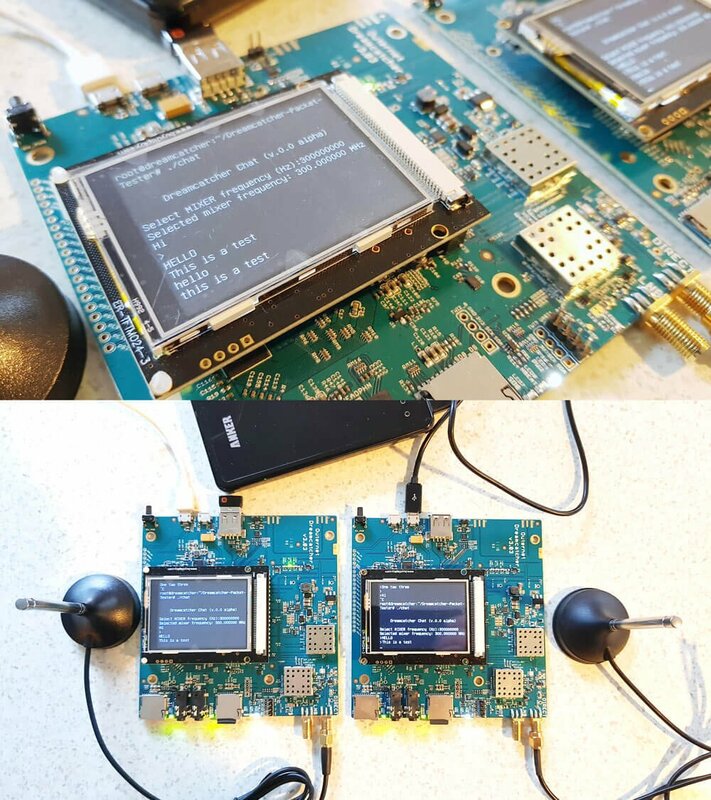 They also have a limited $25 USD edition version of their active patch antenna which includes a built in RTL-SDR. This version is a bit more noisy compared to the standard active patch, but may be an interesting experimental antenna for some.